Another week, another retail brand closes hundreds of stores. This time it's women's fashion retailer Bebe. Before that it was JCPenny, Staples, Macy's and Payless. Ralph Lauren also recently closed their massive 5th Ave NYC Flagship. Next will undoubtedly be Sears and Kmart. Credit Suisse said in a research report released earlier this month that it's possible more than 8,600 brick-and-mortar stores will close their doors in 2017. According to CNN Money, the worst year on record is 2008, when 6,163 stores shut down. If stores do close at the rate Credit Suisse is projecting, it could mean America will lose more than 147 million square feet of retail space this year. Sounds scary right? Articles like these are published weekly across countless sites, and each one blames retail's woes on one culprit: Amazon. And that's simply false. American retail is adjusting to several factors, INCLUDING Amazon and the rise of e-commerce, but blaming one retailer for everyone's issues is too easy. Online shopping still makes up less than a tenth of the country's total retail sales, despite doubling in the past five years, according to the U.S. Census Bureau. Online shopping still remains a relatively small portion of the total market, despite absorbing most of the industry's overall recent growth. Too small still to entirely account for massive industry shifts. Amazon has certainly contributed, and continues to win on price, but that isn't the only issue. Retail square feet per capita in the United States is more than six times that of Europe or Japan. And this doesn't count digital commerce. The retail industry, not unlike the housing industry, saw too much square footage capacity added in the 1990s and early 2000s. Thousands of new doors opened and rents soared. This created a bubble, and like housing, that bubble has now burst (link). This is important because with more stores comes less productivity per square foot. Retailers on average are generating fewer sales per square foot than they did during the decade leading up to the recession. Combine that with rising rent, shifting customer taste AND the rise of e-commerce, and many brick-and-mortar stores are in trouble. In my introductory post on this blog, I mentioned how generic and bland shopping in department stores has become, especially at retailers like Macy's, JCPenny, Sears, etc. Imagine being blindfolded in one of those stores, you take the blindfold off. Odds are, without seeing any logos, you'd have no idea which store you're in. And that's precisely the problem. Mashable published a great article on this subject. "In a market filled with an overwhelming number of online and offline choices, bland can be a death sentence. Success is now less about what's on the shelves and more about the act of shopping itself, retail pundits say — Is there a chance you'll discover something new? Do you see a distinct and consistent vibe? Are you actually having fun? The problem is that companies still think that the products they carry matter. Consumers know that they can get a power drill at any one of a hundred places. The products don’t matter, they need to focus on experience (link)." For example, Macy's tagline for years has been The Magic of Macy's. And I ask you seriously, what is magical about shopping at Macy's? And if Amazon is admittedly beating you on price, what incentive is there for anyone to shop at Macy's? Now it's easy to pick on Macy's, but department stores, and specialty retailers like Gap, J.Crew and Abercrombie are all in the same boat. In my view, Macy's is the poster child for this issue due to their practice of buying and consolidating hundreds of regional department stores and turing them into one single brand. In the race to consolidate, what American shoppers are left with is a sea of sameness. As stated earlier, "bland can be a death sentence." These regional stores had their own unique branding, traditions, experiences and charm. People grew up with these brands and had an emotional connection to them. Some of these stores dated back hundreds of years, they had such rich histories. And now all we're left with is a generic Macy's, at every mall in America ... (sigh). And what about the mall shopping experience, and the design of the stores, has changed in the last few years? Not much, which brings us to our third issue: Innovation (or lack there of). A recent CNBC article gives one idea of stores in the future, "Imagine full-body scanners in dressing rooms that take your measurements, and recommend the clothes that best fit your body. Seamless checkouts that can be done from inside the dressing room or on your mobile phone, eliminating the need to wait in line. Innovations like these are already threatening to become mainstream. And, as consumers shift a larger chunk of their spending toward the Web—where they're offered a seemingly endless pipeline of products—experts say bricks-and-mortar locations need to undergo a complete makeover to stay relevant in future decades (link)." The future of shopping could hinge on time rather than space. The same article envisions a shopping center where 20 percent of the tenants will constantly be changing, giving consumers a sense of urgency to head to the mall. Companies that cater to this idea are already starting to sprout. 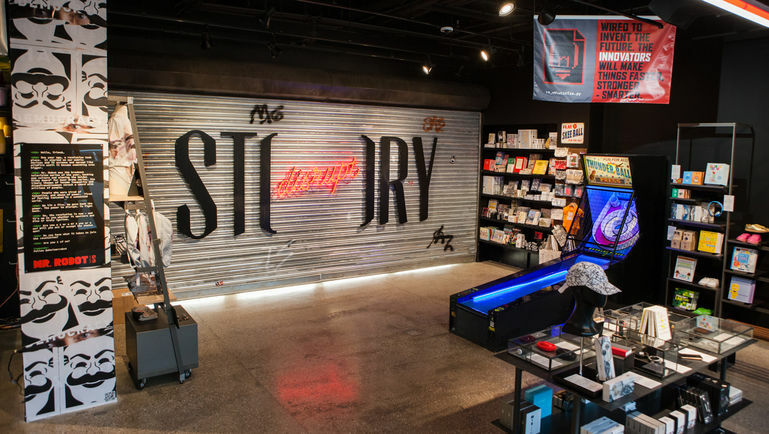 Story, a Manhattan retail location, changes its store design and product mix every four to eight weeks, allowing small brands to experiment with brick and mortar (link). So what are brands to do? 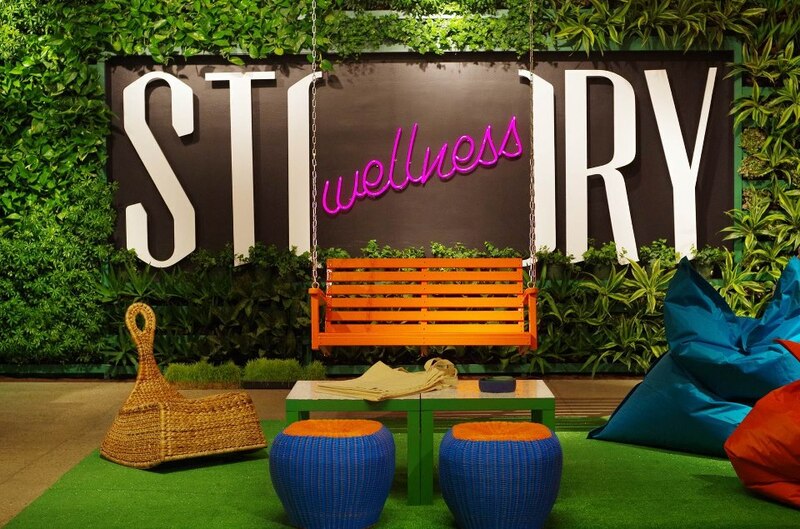 Brands large and small need to invest in their physical stores by creating experiences, curating better product mixes and offering services available only in physical stores. And once you get them there, you have to WOW them. Does every mall need a Gap, Macy's or Abercrombie? No. What's special about that? Many of these locations NEED to close. And does every location have to look exactly the same, like a template? Please no! While retail and malls may be in a period of retraction, there are still enormous opportunities out there. It just takes a bit of vision, magic and creative thought. Surprise and delight folks!